To conclude the 2018 NPSL season, the All Heartland Conference Teams are released. Coaches from each team in the conference confer to create two teams worth of players who have played the best in their respective positions throughout the duration of the conference regular season. To be selected for either of these teams is a huge honor for an individual player, and should be held to a high esteem. 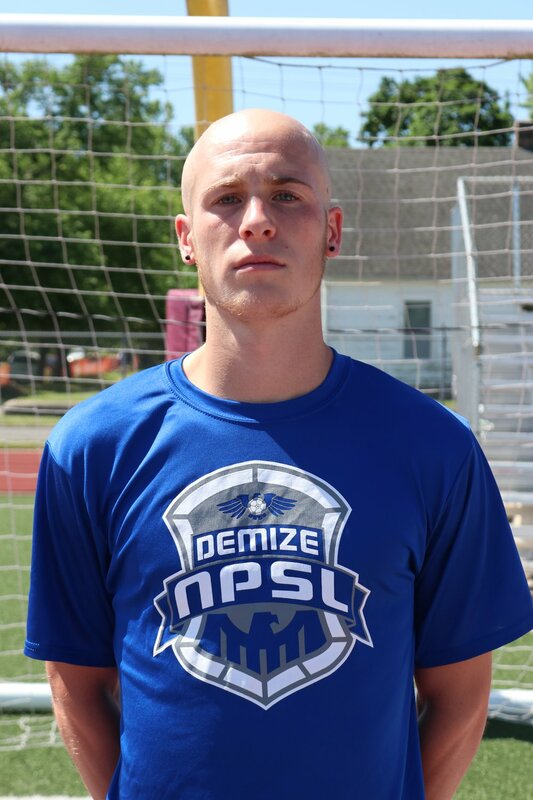 Demize NPSL has had three players selected for the All Heartland Conference Team! 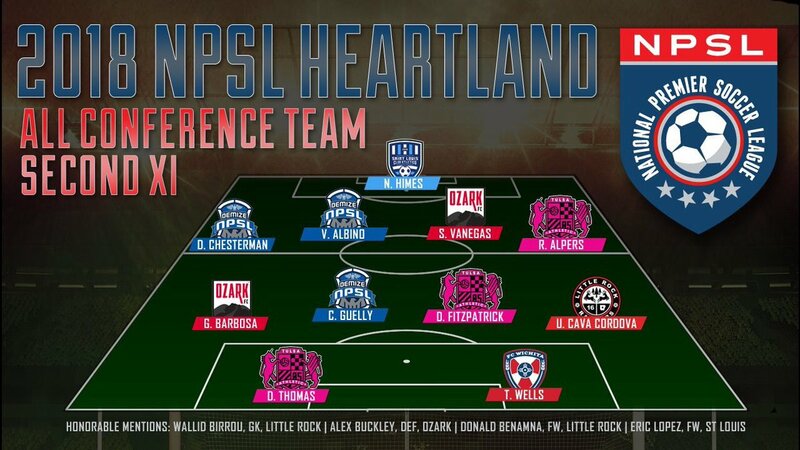 Defenders Dave Chesterman and Vinicius Albino, along with midfielder Charles Guelly were voted to be on the second team in the Heartland Conference. Dave and Vinicius were a stout force paired on the left side of the line up for the Demize, creating a stalwart wall for our backline for the entirety of the season. 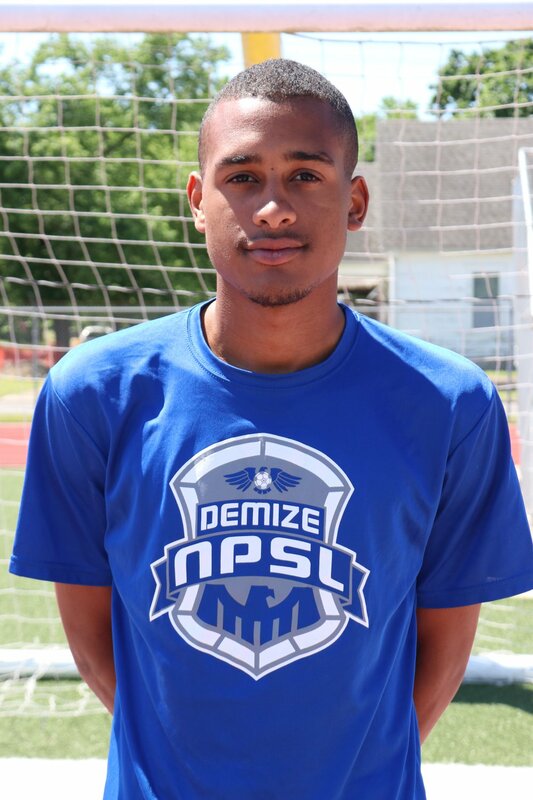 Reciprocally, Charles was a constant threat to the other teams in the conference, scoring 3 goals, while marking 2 assists on the season from the Left Midfield position. Playing with quality and intelligence, Charles, Dave, and Vinivius showcased the exact reasons they have been given this honor. Their hardwork, perseverance, and intelligence are the qualities that the Demize organization strives for the youth teams all the way through the minor league teams in the organization to play with in all competitions and areas of life.